Remember the Dark Ages when, if you missed an episode of your favorite TV show, you were basically out of luck until rerun season? How many great shows did you skip because you missed the first few episodes and had no way to catch up? In this Internet age, such annoyances are a thing of the past. Video-on-demand services from the likes of Hulu, Netflix, Apple, and Amazon make it easier than ever to catch missed episodes and discover new TV shows. These services bring popular TV content to a wide range of mobile devices, so yes they essentially deliver TV everywhere. But it's not exactly your TV everywhere--in other words, it's not ubiquitous access on mobile devices to the TV channels you already pay to watch on your television. • See more streaming, apps, and downloads news from HomeTheaterReview.com. • Read a review of the Samsung Smart Hub platform. The phrase "TV Everywhere" is officially used to describe initiatives by the pay-TV providers to grant subscribers access to TV content through mobile devices like PCs, tablets, and smartphones. Ideally, this would translate into 24/7 access to your complete TV-channel lineup on alternative devices. Sadly, we aren't there yet, but at least we've neared the vicinity. Many major service and content providers have embraced the "TV Everywhere" concept--okay, perhaps "accepted" is a better word. Pay-TV providers have accepted that they need to offer mobile-friendly options to keep people from cutting the cord entirely. The problem is, providers aren't exactly getting the word out to their customers. According to a recent story in Home Media magazine, Parks Associates reports that only about 20 percent of pay-TV subscribers know that their provider offers any type of TV Everywhere service. With that in mind, we decided it was time to provide a quick overview of what's available in the TV Everywhere realm. There are currently two approaches to the TV Everywhere model. The first approach is for a specific channel (or group of channels) to provide direct access to the programming it offers. One of the most popular examples of this approach is HBO GO. If you're an HBO subscriber, you can visit HBOGO.com or download the free app (iOS, Android, and Kindle are supported), sign up, and have access to HBO programming. HBO has deals with pretty much all of the major cable/satellite providers; all you have to do is provide account details to prove you're an HBO subscriber, and you can enjoy all of the HBO GO content at no additional cost. • Showtime Anytime and Max Go follow the same approach as HBO Go for Showtime and Cinemax, respectively. • Turner Entertainment has deals with most of the major service providers to offer access to TV content from stations like TBS, TNT, TruTV, CNN, and Cartoon Network. Each station in the Turner family has its own free app and Web portal. As with HBO GO, you must provide proof that you subscribe to the channel(s), then you receive unlimited access. CNN offers some live streaming. 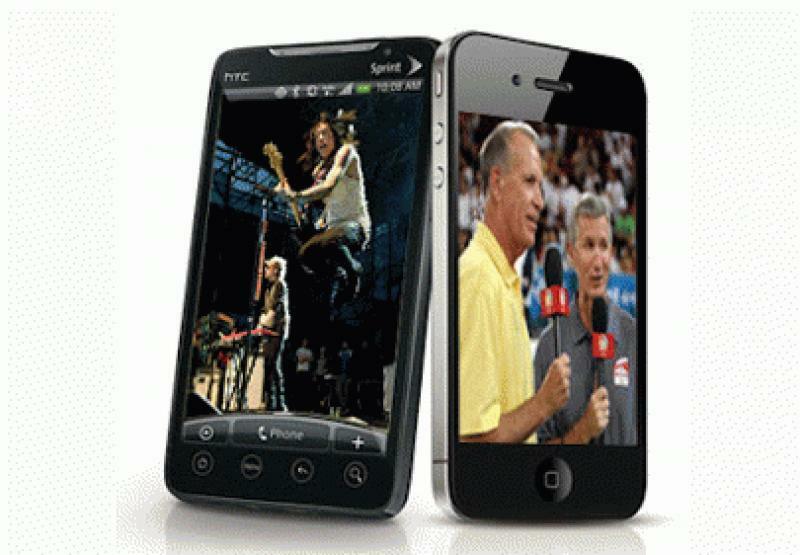 • WatchESPN offers live streaming feeds from ESPN, ESPN2, ESPN3, ESPN Goal Line, ESPN Buzzer Beater, and ESPNU. The service is available online or via an iOS/Android app. Right now, the full WatchESPN slate is only available to subscribers of Comcast, Time Warner Cable, Verizon FiOS, and Bright House Networks. If you use a different provider, you can only watch some live events from ESPN3 streamed online. • Watch Disney Channel offers live streams of Disney Channel, Disney XD, and Disney Junior via a Web browser or app, but the service is currently only offered to Comcast customers. The second approach takes a more straightforward path: TV Everywhere, offered directly through your service provider. Most of the major providers now offer some type of mobile-friendly service, accessible either online or through an app. Each one may vary in the content it offers, the mobile platforms it supports, and the exact way it delivers the content to you. In some cases, the service provider merely piggybacks one of the channel-specific options above or links you to a free service like Hulu, but at least all of the TV content is united under one core interface/app, instead of forcing you to navigate a bunch of individual ones. Instead of trying to break down the particulars of each service, here are links that will take you to the TV Everywhere Webpage for some of the major providers. It's worth noting that some of the cable providers only allow you to stream content to a tablet or smartphone app over your home broadband network. This basically gives you another portable TV option within the home but hardly qualifies as TV Everywhere. However, the Web portal can usually be accessed from any Web browser, anywhere. I'm a DirecTV subscriber, and the company only recently introduced the DirecTV Everywhere service, which you can access through DirecTV.com or an iPad/Android app (but not the iPhone or iPod touch). If your DirecTV service plan includes HBO, Starz, Encore, Sony Movie Channel, and/or Cinemax, then you can watch streamed versions of shows like True Blood, Game of Thrones, Magic City, and Spartacus. You can also watch movies that are currently being offered on those channels and choose from a number of on-demand movies to rent. If (like me) you don't subscribe to the premium channels listed above, DirecTV Everywhere doesn't currently include many other choices in the TV realm: You can directly cue up a few shows and concerts from the Audience network (like Damages and The Wire), and the website provides links to the channel-specific sites I discussed above, but it's hardly a seamlessly integrated experience. Dish Network seems further along in this respect. Both satellite services will also sell you an adapter box that allows you to access TV content on a mobile device; Dish Network's Sling Adapter (by Sling Media) lets you stream live and recorded content over the Internet, while DirecTV's nomad transfers recorded content from your HD DVR and does not require an Internet connection. So that's what's going on right now in the evolution of TV Everywhere. We now ask you: Did you know that your provider offered this service? Have you tried it out? Was it a successful TV-watching experience? Let us know in the Comments section below.